Now there's a beast you don't want to meet in a dark alley! Fortunately, the Dinogorgon lived over 250 million years ago where South Africa and Tanzania now lie. 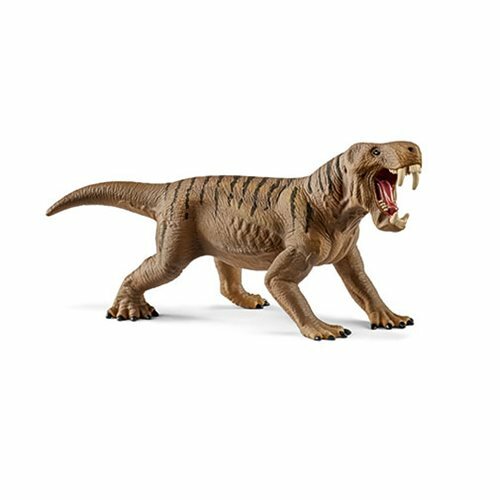 You can have a smaller and much more manageable version in your own home, however, if you order this super-detailed, hand-painted Schleich Dinosaur Dinogorgon Collectible Figure. It measures approximately 5 1/5-inches long x 2 1/2-inches tall.